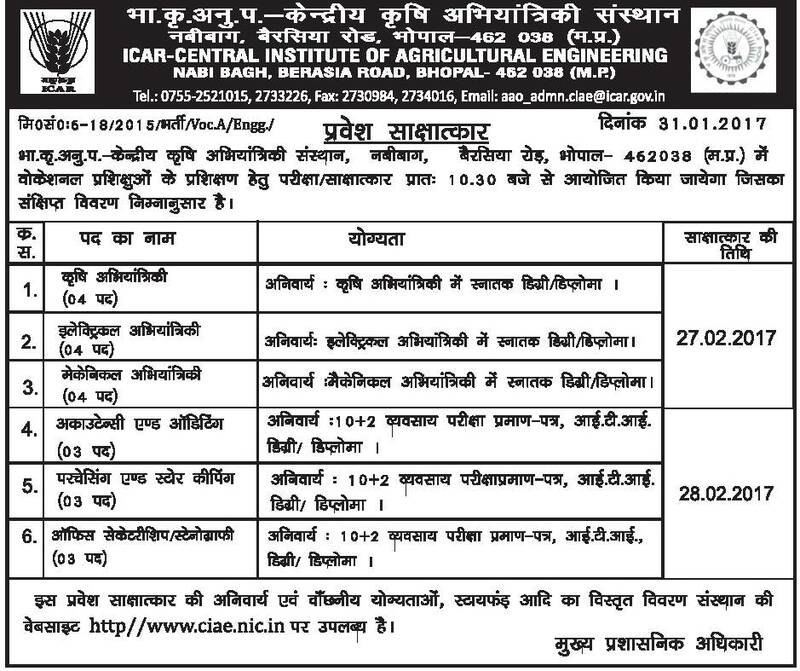 The applicants who are willing to apply for CIAE Recruitment 2017 they should should attend walkin interview on 27th February & 28th February 2017. Entire information such as eligibility criteria, selection process, salary package, apply process, last date, etc. are mentioned on this page. Qualification Details: Aspirants should have attained 12th / Diploma / Engineering Degree / Graduation Degree / from a recognized Board / University / Institute. 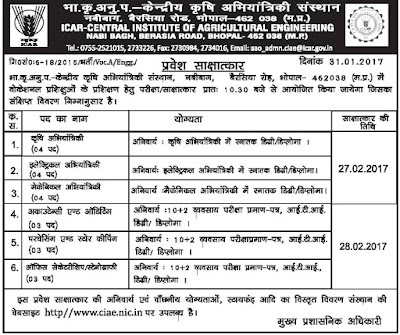 Candidates who are meeting with the above detailed eligibility parameters must attend walkin interview on 27th February & 28th February 2017. Last Date to Attend Interview : 27-02-2017 & 28-02-2017.